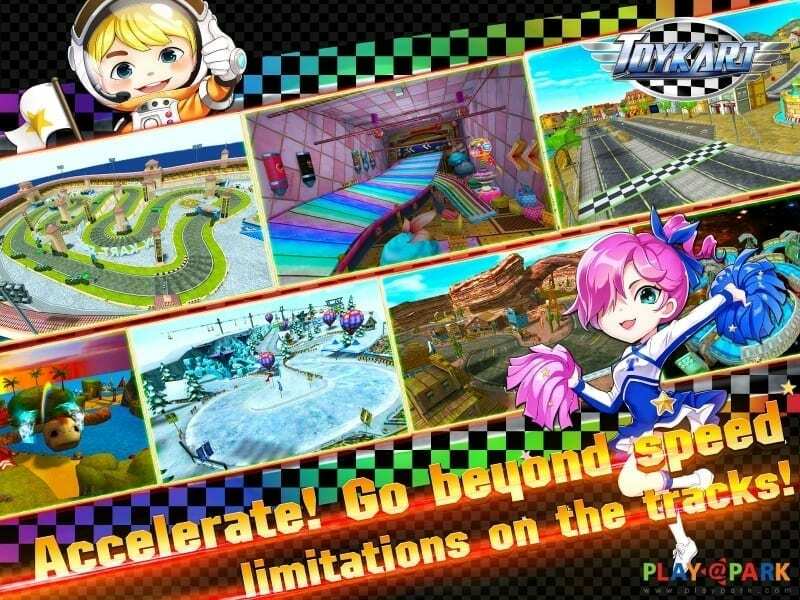 Developed by Korean studio Axiasoft and published on the Playpark platform, Toykart is a new racing mobile game unlike any others. 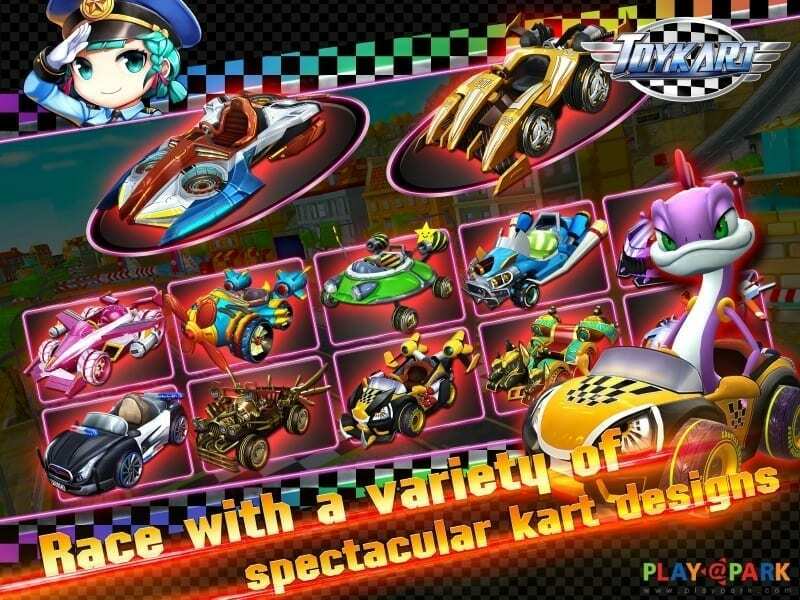 More similar to Mario Kart than “serious” racers such as Need For Speed, racers in Toykart are able to pick up items while racing and use them to disrupt opponents! While not a new feature, but we believe it is the first time seeing this on mobile devices. 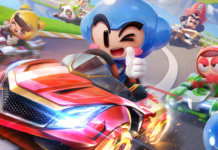 While there are tons of single-player content, racers can take part in multiplayer modes too with up to 6 live players. There is the solo mode, and also the fun 3 vs 3 team mode. 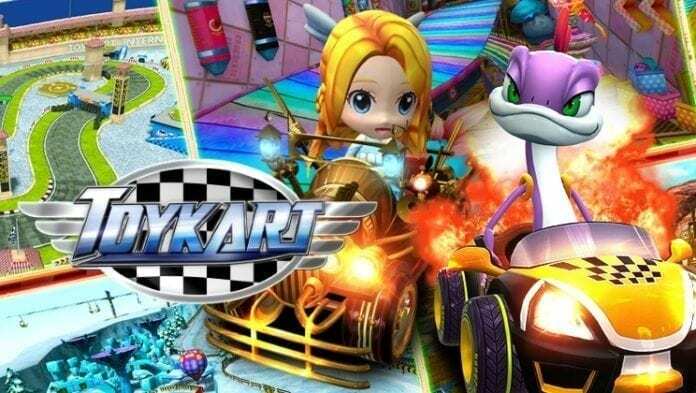 Racers can purchase new characters, each with his or her own unique ability, and also equip pets and upgrade their kart parts, just like a real-life racing garage! 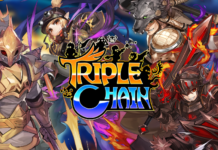 iOS players will have to wait a little longer, so stay tuned!